The Leadership and Members of American Principles extend our deepest gratitude to so many of our endorsed and supported Congressional candidates for their condemnation of the awful United Nations Resolution 2334 and the UN’s continued history of Israel bashing. In response, the House of Representatives overwhelmingly passed as one of its earliest acts in the 115th Congress, H. Res. 11 condemning U.N. 2334. While we are generally opposed to the continued mention of a two-state solution (which, while unfortunately incorporated into H. Res. 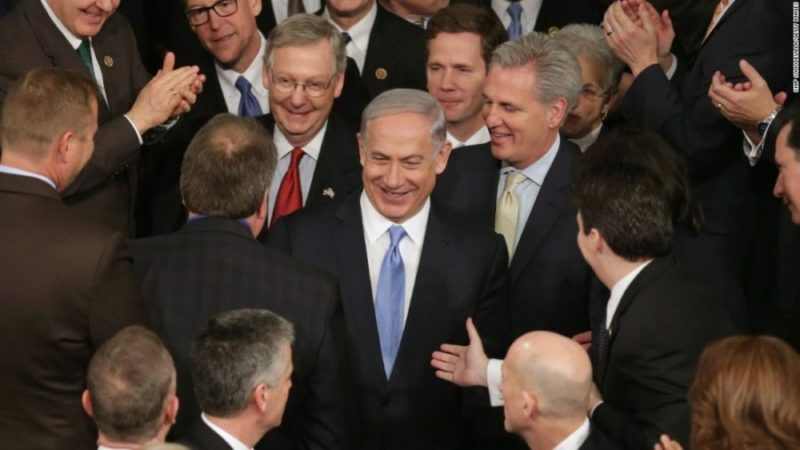 11, has been rejected by the most recent Republican policy platform) on the grounds that it would lead to the creation of another Islamic terrorist state on Israel’s borders, we commend our friends in Congress for standing with Israel during a time when she needs her allies the most. Below are some of the statements issued by Senators and House members and condemning the Obama Administration’s shameful actions. To add insult to injury, the White House oversaw this process during its last few days, in a clear break with historic precedent and giving new meaning to the term “lame duck”. Sen. Ted Cruz (TX): “Every Obama foreign policy official should be ashamed of today’s UN resolution, and any official who disagrees with or hopes to avoid the anti-Israel legacy of this Administration should resign on principle today.” Watch the Senator’s speech on the Senate Floor, as well as his Press Release. Sen. Marco Rubio (FL): “Efforts to delegitimize Israel have been underway a long time at the United Nations and have now sadly been aided by the outgoing administration, but the time has come to turn back the tide and renew America’s commitment to the Jewish state.” Read the Senator’s Full Press Release here. Rep. Ed Royce (CA-39), Chairman of the House Committee on Foreign Affairs: “The Obama Administration broke with longstanding U.S. policy by failing to veto UN Security Council Resolution 2334. This dangerous resolution effectively states that the Jewish Quarter of the Old City of Jerusalem and the Western Wall – Judaism’s holiest site – are “occupied territory.” Read the Chairman’s Press Release here. Rep. Ron DeSantis (FL-06): “The UN has become a hotbed of anti-Israel activity where all these tin pot countries get together and rail against the world’s only Jewish State. They did 20 resolutions against Israel at the UN in 2016 and 4 against the rest of the world. We need to take our power of the purse and defund the UN until resolution 2334 is revoked”. The Congressman made some floor statements on this issue, sternly criticizing the Obama Administration for its betrayal of Israel and harm done to U.S. National Security. The remarks can be seen here and here. Rep. Louie Gohmert (TX-01): “I have filed today a bill, H.R. 373, that would force the suspension of any payments whatsoever by the United States to the United Nations or any of its associated agencies or entities, until U.N. Security Council Resolution 2334 is rescinded or withdrawn by the U.N. Security Council”. Read the Congressman’s Press Release here. Rep. Dennis Ross (FL-15): “Over the recent weeks, I have been appalled at what has taken place under the direction of President Obama, Secretary Kerry, and others within the administration. In response, I also introduced a resolution condemning these intolerable actions. By failing to direct the United States to veto the one-sided, anti-Israel UN Security Council Resolution, the president turned his back on Israel and, as a result, turned his back on America.” Refer to the Congressman’s Press Release here. Rep. Doug Lamborn (CO-05), Co-Chair of the bipartisan Israel Allies Caucus: “I supported House Resolution 11 objecting to UN Security Council Resolution 2334 although …this measure did not go far enough. …. We must do more to defend our greatest ally in the region. I have gone a step further by introducing H.R. 263, a bill to render United Nations Security Council Resolution 2334 null and void as a matter of United States law. This legislation would ensure that the United States is not bound by any provision of UNSCR 2334 and denies the UN Security Council Resolution from being used U.S. Courts. Finally, I introduced H.R. 264, which would restrict all UN funding until we have more transparency on how much US taxpayer money is being contributed to the UN and how it is being used.” Read the Congressman’s Press Release here. Rep. Matt Gaetz (FL-01): “Calling Israel an “occupier” is ridiculous. Jews have a right to live in their ancestral homeland and the territory that Israel captured in 1967 was lawfully captured in a war of justified self-defense… The American taxpayer funds 22 percent of the UN budget. It is time to send a message by defunding this bastion of anti-Semitism and anti-Americanism that continues to work against our interests and castigate our allies.” See the full Op-Ed here. Contributions or gifts to American Principles are not tax deductible as charitable contributions for federal income tax purposes. Corporate contributions and contributions from foreign nationals are prohibited by law. It is illegal for any person to reimburse another for making a contribution to American Principles. Federal law requires us to use our best efforts to obtain and report the name, mailing address, occupation and name of employer for each individual who contribute more than $200 in a calendar year. The maximum contribution to American Principles is $5,000 per person ($10,000 per married couple) per calendar year..
© Copyright 2019 American Principles PAC. All rights reserved. PRIVACY AND OPT-OUT NOTICE:Thank you for signing up for American Principles emails and updates. Please note that we will not publish, share, or sell your email address in any way. We hate spam just as much as you do and will not spam your email. Your address will be used purely for the purposes of sending you emails and updates about our activities and occasional event invitations. Of course, you will always have the option to opt-out of any such email(s).